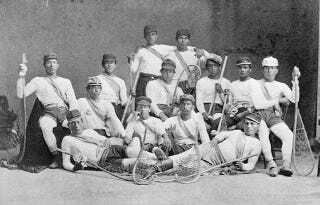 The Lacrosse All-Name Team Is Here! Inside Lacrosse has published the 2014 Face-Off Yearbook (makes a great gift for the Schuylers in your life! ), and, as they do every year, have chosen the 2014 All-Name Team. The preppiest, WASPiest, lacrossiest names in the country, all here for your perusal. Congratulations to all the winners, and the best luck to them in qualifying for future Goldman Sachs all-name teams.